If you missed #40 click here. Best Moment: 2 player mode! Also, simply getting a good combo when you're looking like you're about to lose, it's such a relief! As far as the Playstation 1 goes, it never did have that many amazing puzzle games. I don't know why, but it just wasn't a console that seemed to attract that genre of gaming, they were more popular on the Nintendo 64, which, this game was available on. Bust a Move 2 was always a game I really wanted to buy. I played the demo and loved it - since my Sega Mega Drive days I've always been a sucker for a colourful puzzle game, and this was perfect. 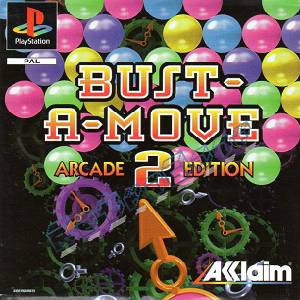 Bust a Move 2 was a game I bought a few years later, and, while I did love playing it, like a lot of puzzle games, after a while it got very repetitive and then difficult. And once you get to that point on a puzzle game the novelty wears off quite quickly unfortunately. 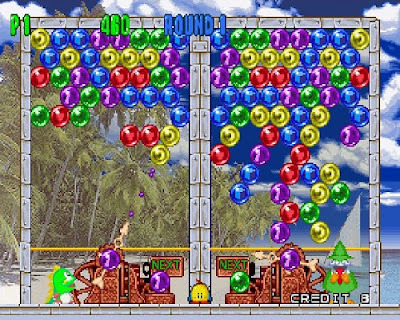 Still, Bust a Move 2 was probably the best puzzle game available on the PS1, and was a lot of fun to play in 2 player mode. Want to find out what came in at #38? Click here!